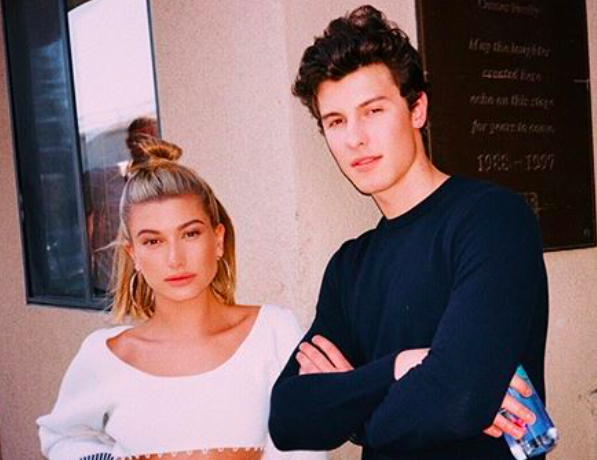 At the 2018 Met Gala, Hailey Baldwin and Shawn Mendes turned heads when they stepped out looking like the coolest Gen Z couple ever. Despite their fancy society debut, they both insisted that they were just friends (more on that later). The internet gave them a collective “sure, Jan,” and we all moved on. Two months later, Justin Bieber and Baldwin announced that they were engaged and the Mendes puzzle got a bit tricker. Mendes revealed in a July 18th interview with Australian talk show The Project that everything is cool between him and his former Met Gala date. "I texted Hailey the day of and I said congrats. That's what it is," Mendes told The Project." Everybody wants there to be more — there’s not." Oh, and for what it’s worth, Mendes “liked” Bieber’s massive engagement announcement post on Instagram. Later in the same interview, Mendes called Bieber’s music “a massive influence” for him. This does not sound like the comment a recently dumped ex would make. So why are the people still so bothered with Mendes and Baldwin’s relationship? People.com reported in November 2017 that Baldwin and Mendes were spotted “holding hands” at a Halloween party. They didn’t make waves again until the Met Gala — a night they both insisted was platonic. Oh, but the plot thickens. At the end of June 2018, right around the time Bieber and Baldwin were rumored to be dating again, People.com reported that Baldwin deleted all photos with Mendes from her Instagram! That feels like a thing you do to an ex and not a friend, but listen we’re not a cool, famous, Gen Z person, so what do we know? Carry on you two — sounds like y’all worked it out.